The American Bison, is often referred to as the "buffalo". He is not only a symbol of the great American plains, but is also the national mammal. The population of this wonderful animal dwindled to near extinction because of the european settlers when arriving in America. But today, numbers are on a rise, due to ongoing conservation programs. 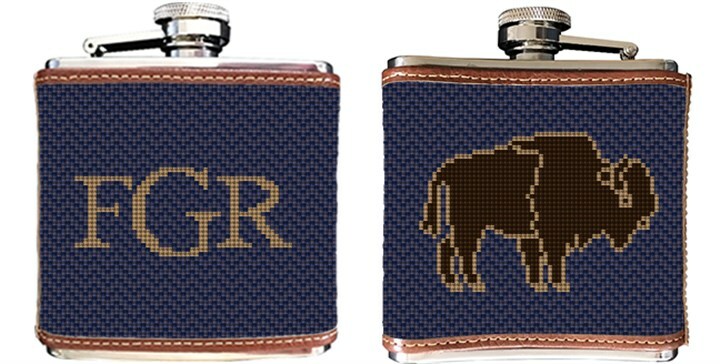 Give the gift of this American Bison needlepoint flask, for any special occasion.